Bosses at ITV1 soap opera Coronation Street have defended plans to film at the scene of the Moors murders. The plot sees Sally Webster and daughter Rosie stranded on Saddleworth Moor, near Oldham, after their car breaks down. Ian Brady and Myra Hindley buried their child victims there in the 1960s. A spokeswoman for the Manchester-based soap said: "This storyline bears no resemblance to the awful tragedy of the Moors murders." Winnie Johnson, mother of victim Keith Bennett, said the storyline was "sick". Mrs Johnson, 72, who is a fan of Coronation Street, wants the scenes to be removed for the sake of those whose children were killed there. "It brings back memories for all of us. Anyone who's human can see they shouldn't do a story like that," she said. "My son is still up there and I just want him back. He was my eldest son at the time. I'd go through hell to get him back." The breakdown occurs as Sally, played by actress Sally Whittaker, is driving her daughter to school. Photographs of filming have appeared in newspapers but Coronation Street said they were not official. "They do not necessarily represent what will seen on the screen," the spokeswoman said. "Rosie is never in any danger. She is with her own mother, who is taking her to boarding school, not specifically to the moors," said the Coronation Street spokeswoman. 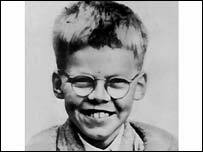 Keith Bennett was 12 when he was murdered by Brady and Hindley in 1964. His body has never been found.